Rancho Calamus Lot 1 of 6 has excellent views of the Lake! Lake Area 2 Bed 2 Bath Priced to Sell! 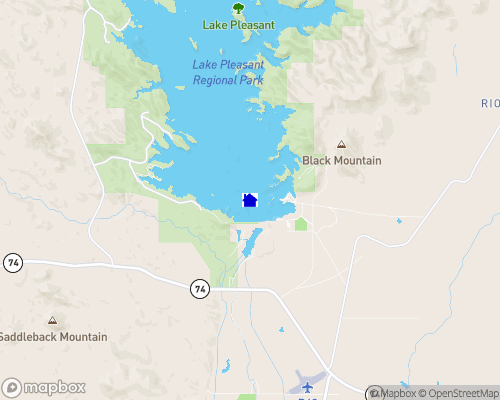 Lake Pleasant is the largest lake in the greater Phoenix area. It has 10,000 surface acres and 50 miles of shoreline. Endless coves and bays provide the ideal setting for all your favorite water activities, including camping, boating, house boating, sailing, water skiing, jet skiing and fishing. There are two paved boat launching ramps, a full-service Marina, boat repair center, deli and dockside bar.